Iran said Tuesday it has launched a plan to boost uranium enrichment capacity with new centrifuges, raising the pressure on European diplomats scrambling to rescue the crumbling nuclear deal after Washington pulled out. “If conditions allow, maybe tomorrow night at Natanz (plant), we can announce the opening of the centre for production of new centrifuges,” said Vice-President Ali Akbar Salehi, head of the Iranian Atomic Energy Organisation, according to conservative news agency Fars. “What we are doing does not violate the (2015 nuclear) agreement,” he said, specifying this was just the start of the production process and “does not mean that we will start assembling the centrifuges”. The International Atomic Energy Agency confirmed it had received a letter from Iran, which Salehi said was submitted on Monday and outlined Tehran’s plans. 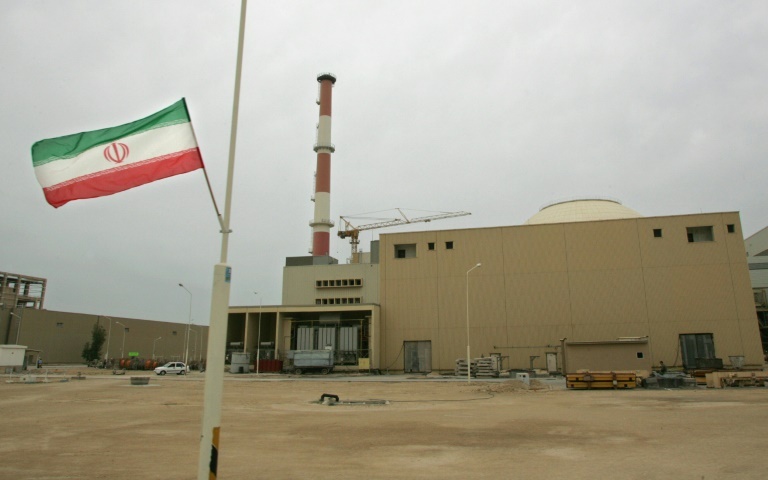 Under the 2015 nuclear agreement that Iran signed with world powers, it has the right to build and test certain centrifuges, though detailed restrictions exist for the first 10 years on the types and quantities of the machines. European governments have been trying to salvage the nuclear deal ever since the United States announced its withdrawal last month and said it would reimpose sanctions on foreign companies working in the Islamic republic by November. The remaining parties — Britain, France, Germany, China and Russia — have vowed to stay in the accord but many of their companies have already started to wind down Iranian operations. The European Union said a first assessment indicated the new steps announced by Iran did not constitute a violation of the agreement. “However, at this particularly critical juncture, they will not contribute to build confidence in the nature of the Iranian nuclear programme,” Maja Kocijancic, spokeswoman for EU diplomatic chief Federica Mogherini, told AFP. On Monday, Iran’s supreme leader Ayatollah Ali Khamenei warned the Europeans that “Iran will never tolerate both suffering from sanctions and nuclear restrictions” and called for preparations to speed up uranium enrichment. Israeli Prime Minister Benjamin Netanyahu reacted swiftly to Salehi’s announcement, declaring that the Islamic republic’s aim was “unlimited enrichment of uranium to create an arsenal of nuclear bombs” to destroy his country. On Sunday, Khamenei repeated the long-standing view from Iran that Israel is “a malignant cancerous tumour in the West Asian region that has to be removed and eradicated”. Speaking alongside Netanyahu in Paris later on Tuesday, French President Emmanuel Macron warned the key players against worsening the situation. If Iran chooses to abandon the deal, it has stated it could “within days” return to enrichment of 20 per cent — still within the limits of civilian use but allowing for a much quicker jump to military-grade levels of around 90 percent. Under the 2015 agreement, Iran can only enrich uranium to 3.67 per cent. Iran was already seeing limited economic benefits from the deal even before the US withdrawal, thanks to the reluctance of international banks to facilitate trade and a raft of non-nuclear US sanctions that were not touched by the agreement. European governments have been scrambling to protect their businesses from renewed US sanctions in order to keep Iran in the deal. But several large firms have said it will be impossible to continue operating in Iran except in the unlikely scenario that they win bulletproof exemptions from Washington. France’s PSA, which manufactures Peugeot and Citroen cars, on Monday became the latest to announce its plans to pull out of Iran, where it sold nearly 445,000 cars last year.